The blending of styles and patterns to create a unique, yet cohesive look is the style of decorating known as “eclectic”. If you’d like to style your dining room eclectically, this room by designer Samantha Pynn is such a good starting point! Eclectic style lends itself to DIYers and furniture rescuers, so you can definitely put together a similar room without a hefty price tag. 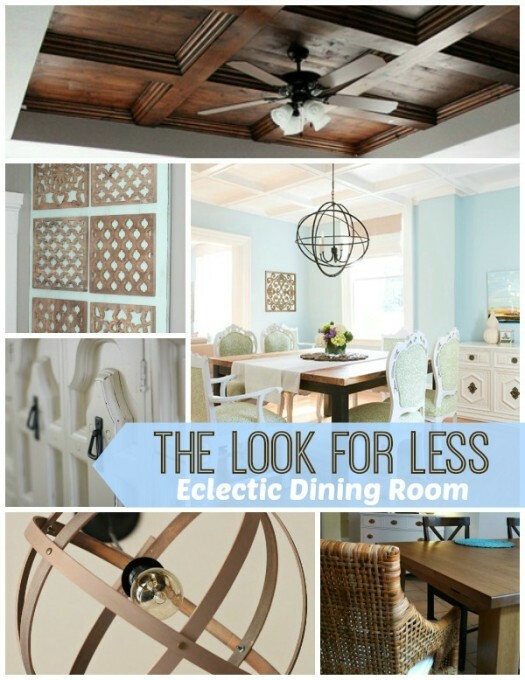 Here are five tutorials I found to get you on your way to an eclectic dining room.